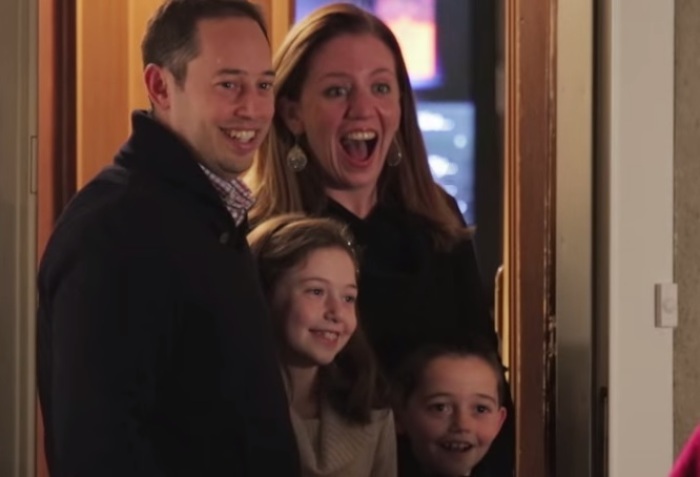 Amazing Christmas Flashmob This Family Was Never Expecting – WOW! What seemed to be a few Christmas carolers at the front door of this families house, actually turned out to be something way more. And it was AWESOME! With Christmas right around the corner and the feeling of joy becoming even greater, this is a perfect surprise for a family to witness. A thoughtful Christmas carol involving a small group, turned into a whole Flashmob of Santa's. elf's, orchestra, and dancers. One this family will definitely NEVER forget about. It will put a smile on your face for sure and may even spark feelings in you to make this Christmas a magical one. Thank you to all those involved in this amazing Christmas Flashmob!